Annotation: Help students become stronger writers with these fun-to-do learning packets on the important topics of capitalization, commas, apostrophes, quotation marks, colons, and so much more! 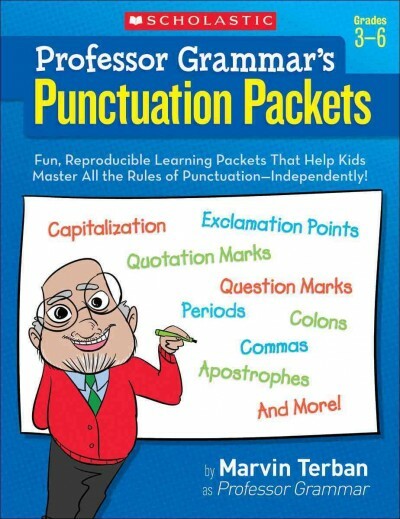 Each reproducible packet targets and teaches one type of punctuation?uch as commas?n an easy and thorough way to ensure kids REALLY learn the rules. Perfect for homework or meaningful seatwork!